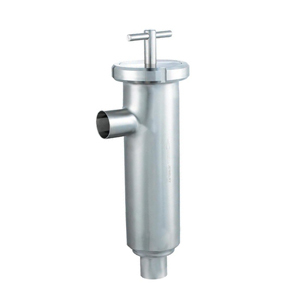 Straight Sanitary Filters is a commonly design of sanitary filter. Wellgreen provides straight sanitary filter and filter housing dimension from from 1” to 4” in stainless steel 304 or 316L. Sanitary filters and strainers enables the pipeline produce purified liquids, it is widely used in the equipment of Brewery, Beverage, Biopharmaceutical etc. *Please contact us for more information and specification about sanitary straight filters.